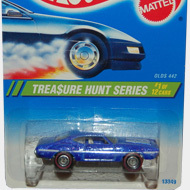 2/12 from the 1995 Treasure Hunt series. The Passion features gold metalflake paint with purple, black, and gold graphics on the sides. 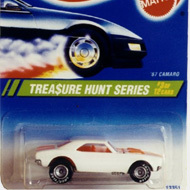 It has clear windows, a beige interior, gold rims with white line Real Rider tires, and a gold chrome Malaysia base. The vehicle is based upon a customized 1949 Mercury Eight and made its debut in the 1990 basic line. 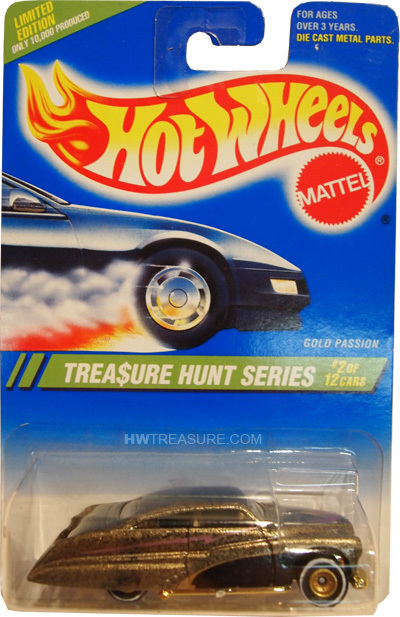 The Passion was once again used as a T-Hunt in the 2005 series.